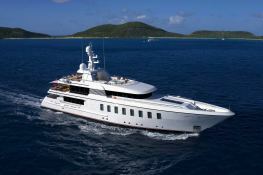 Megan (ex Helix) has five luxury suites on the main deck, plus an additional pod cabin suitable for children. 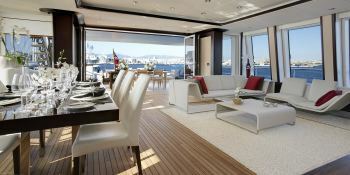 Megan has perfect layout for guest entertainment with a contemporary decor in the lounges and cabins filled with plenty of natural light. 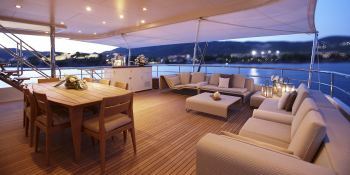 The outer decks offer fantastic opportunities to relax or entertain with the addition of a terrace spa pool. 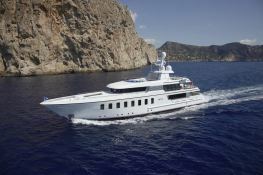 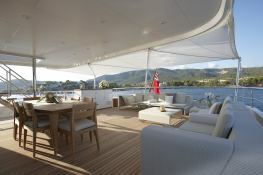 This Megan is available for yacht charter with a base price of 215 000 € (approximatly 242 467 $).